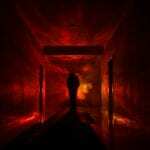 Scare and Entertain your audience with this huge DISCOUNTED BUNDLE of haunting Halloween music and cutting edge horror sounds, expertly recorded, designed, composed, mixed, and mastered to immerse your audience in a spooky cinematic experience the likes of which they will never forget! 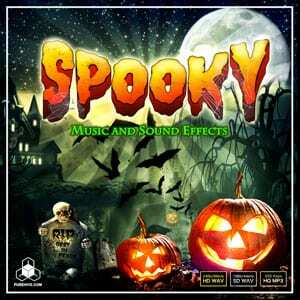 Includes over 50 exceptionally eerie music tracks and hundreds of sound effects, all together covering nearly 2 hours of highest quality scary audio, inspired by Hollywood Halloween classics such as “Monster House”, “Halloween”, “Goosebumps”, “The Nightmare Before Christmas”, “Corpse Bride”, “Casper”, “Adams Family” and the darkest of Disney fairy-tails including “Hocus Pocus”, “Maleficent”, “Into the Woods”, “The Haunted Mansion”, “Tower of Terror” and many more! No matter what you’re on working on, whether it’s a horror video-game, a creepy cartoon, a spooky app for children, or even a huge Halloween party, this ghostly gathering of ready-to-use sound effects is guaranteed to send a shiver through your project! Need to go even darker? 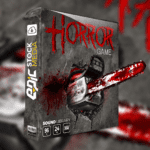 You’ll love the Gore sounds and Creepy music tracks we’ve included, such as those you may heard in classic and modern horror such as Resident Evil, SAW, The Blair Witch Project, 28 Days Later, and The Texas Chainsaw Massacre. Whether you need to shock your audience with sudden stings, awe them with memorable themes, or introduce some subtle spookiness into your project with unobtrusive background loops, everything you need is here! With moods ranging from WHIMSICAL to TERRIFYING, plus MULTIPLE INTENSITY LEVELS, LOOPING and NON-LOOPING versions, and LENGTH VARIANTS, whatever the situation – we’ve got you covered! Each track has been meticulously designed to fit seamlessly into any project, including LIVE EVENTS, CARTOONS/ANIMATIONS, GAMES, APPS, EDUCATION, FILMS, YOUTUBE VIDEOS, HALLOWEEN PARTIES, and more! SOUND EFFECTS: STILL HERE? ACCEPT OUR GIFT! 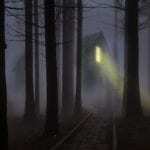 • Huge variety of cutting edge music and sound effects for every spooky scene or situation. • Ready to use – requires no editing, labelling or splicing.